‘Normal’ pages are just ASPX pages. They usually (but don’t have to) use a master page, and we’ll consider them in that way. 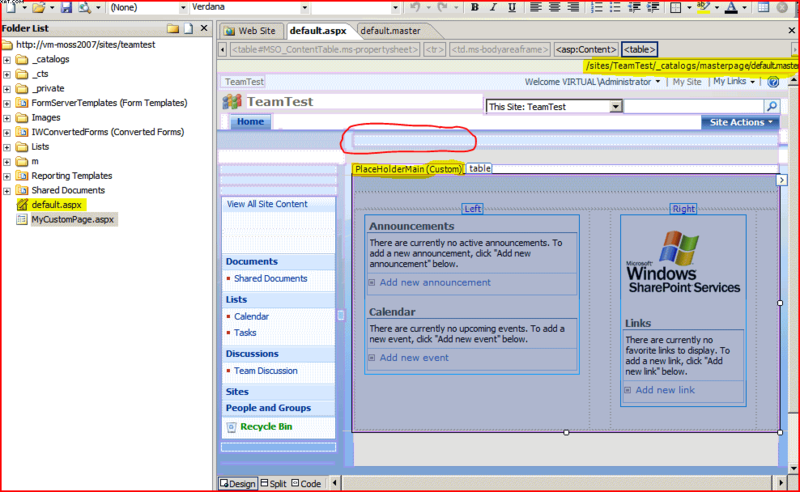 First let’s look at a good example – the Default.aspx of a Team Site. On the left we see that our page just exists underneath our Team site – it isn’t in a Library or anything. On the right we see SharePoint Designer shows us the master page that the page uses at the top of the page, and what the page would look like. You can see the PlaceHolderMain placeholder is highlighted, and unlike the master page, this one has content. I’ve also circled where the PlaceHolderTitleBreadcrumb placeholder is, and this is now empty. So where did this content come from? 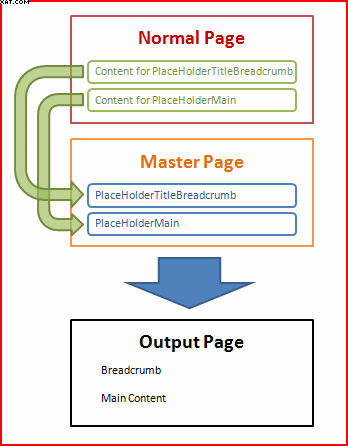 Here we see the content being defined for the our PlaceHolderTitleBreadcrumb (the new content is ‘nothing’, and so our breadcrumb is effectively being erased), and our PlaceHolderMain (which contains lots of code for 2 web-part zones, etc. ).